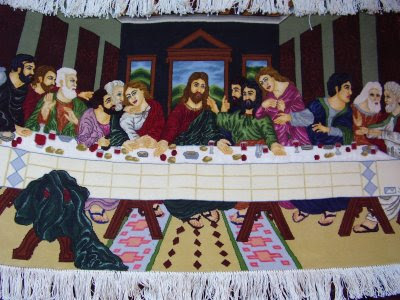 On Thursday; January 17, 2008, the “Day of Thanksgiving” of the Rogation of the Ninevites, for which day the Gospel says, “On that day you will not question me about anything. Amen, amen, I say to you, whatever you ask the Father in my name he will give you” (John 16:23), the Clergy Conference of the Assyrian Catholic Apostolic Diocese (ACAD) met in Dublin, California, to discuss the current situation and consider future plans for reestablishing communion with other Christians, in order to end their ecclesial isolation. After praying to the Father and reflecting on the Scriptures and Tradition, the attendees unanimously adopted a “Declaration of Intention” in which they state their resolution “to enter full communion with the Catholic Church” and “to resume church unity with the Chaldean Catholic Church.” As a result, they foresee that this declaration will initiate a process of negotiation with respective Church authorities to define a concrete model of this union, in which the particularity of our apostolic tradition is preserved. في يوم الخميس المصادف 17 كانون الثاني 2008 والمعروف ب"يوم الشكر" حسب طقس كنيسة المشرق، وفيه إبتهل أهالي نينوى، حيث يقول الكتاب المقدّس "وفي ذلك اليوم لا تسألونني شيئاً. الحق الحق أقول لكم إنّ كل ما طلبتم من الآب بإسمي يعطيكم." (يوحنا 23:16)، عقد سيادة راعي الأبرَشية نيافة الأسقف مار باواي في مدينة دُبلِن بكالفورنيا إجتماعاً أبرَشياً موّسعاً ضّم العديد من كَهَنة وشمامسة الأبرشية لبحث الوضع القائم والتشاور في الخطط المستقبلية لإعادة تأسيس الشركة الكَنَسّية مع المسيحيين الأخرين من أجل إنهاء حالة العزلة الكَنَسّية. بعد الصلاة الى الآب والتأمّل في الكتاب المقدّس والتقليد الكَنَسي، تَبّنى الحاضرون بالإجماع "إعلان النوايا" وفيه أعلنوا عن تصميمهم "الدخول في شركة تامة مع الكنيسة الكاثوليكية" و"إستئناف الوحدة الكَنَسّية مع الكنيسة الكلدانية الكاثوليكية". ونتيجة لهذا الإعلان فإنهم يتوقعون التمهيد للدخول في مفاوضات مع السلطات الكَنَسّية المختصة لتحديد النموذج المتماسك لهذه الوحدة، التي تُصان فيها خصوصية تَقاليدنا الكَنَسيّة الرَسولية. ...I will give you perfect praise." The faithful people of the church of St Philip the Apostle. 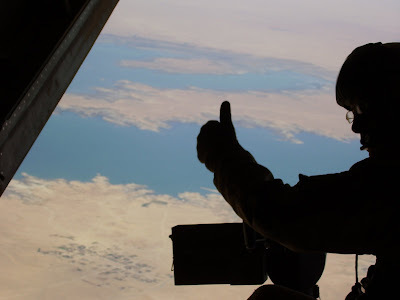 Mission accomplished: the blog scribe wishes to acknowledge their most generous prayer and sacrifice which helped to bring the message of the Lord and his "Oasis of Peace" to many. Thanks be to God above all for their spiritual life nourished by worship in common through the Eucharistic liturgy which gives spiritual power and efficacy to all our efforts. Corporal works of mercy and charity are truly fruitful for salvation when they are outward signs of the interior life, where Christ our Peace is the source of all salutary human effort. The young men of the Liguori Society for priestly vocations. While remaining open to discerning a sacerdotal vocation themselves, under the patronage of St. Alphonsus, they engage in spiritual and corporal works to encourage others to join them in such discernment. The light upon our path which reveals the way forward, which encourages us to hope, is the forgiveness of our sins. The first step toward pardon is sincere contrition for the rejection of love in all wrongdoing. What is repentance but merely the gift of mourning for sin? God's love alone is perfect. Only in God is our need for love met perfectly and forever. To repent of sin is to invite the love of God to transform us. Conversion means the opening of the heart to love others because God has so commanded us. What is not of God must be rejected that we might truly accept His love which is the gift of unending life. What is the Gospel but simply this? What is the purpose of repentance? "The Kingdom of heaven is at hand"; only the kingdom offers the life without end that is the desire of every human heart. Meeting Christ in the Liturgy offers a reflection for The Third Sunday in Ordinary Time. 200,000 Gather in Vatican on "Pope Day"
Seek the truth and the good, Benedict XVI urged some 200,000 people who flooded the Vatican to support the Pope, days after protests led him to cancel a visit to a Roman university.The Pontiff's visit to La Sapienza University for the inauguration of the academic year was planned for Thursday, but a group of 67 professors signed a letter that objected to the visit by the Holy Father, whom they claimed is "hostile to science." The Vatican press office reported Monday that "it has been considered opportune to postpone the event." At the behest of Cardinal Camillo Ruini, the Pope's vicar for Rome, throngs of professors, students, families and politicians gathered in St. Peter's Square today for the weekly Angelus to show their affection for the Holy Father, in what the Italian media tagged "Pope Day. "Those gathered in St. Peter's Square held up banners with slogans such as "Holy Father We Love You" and "The Truth Sets Us Free," while tens of thousands more supporters watched video links of the event outside the Milan cathedral and in Verona, Italian media reported. Amid shouts of "Long live the Pope," Benedict XVI recounted how his visit to the 700-year-old university, the largest in Europe, had been postponed. "Unfortunately, as is known, the climate that was created rendered my presence at the ceremony inopportune. ""I love the search for truth," the Holy Father added, "the comparison, the frank and respectful dialogue between reciprocal positions of the university environment, which for many years was my world. All of that is also the mission of the Church, committed to faithfully following Jesus, master of life, truth and love." The Pope then encouraged the students "to be respectful of the opinions of others and to seek, with a free and responsible spirit, the truth and the good. 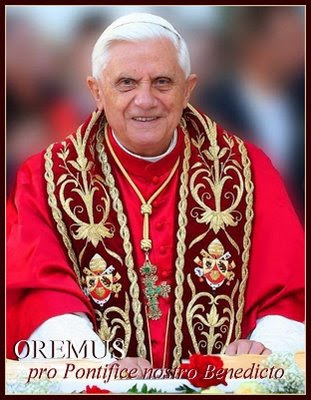 "The rector of Rome's La Sapienza University, Renato Guarini, announced Thursday that he will re-invite Benedict XVI to visit the institution.He said the invitation would "be in accord with the desire of the majority of La Sapienza's academic community." There are 4,500 professors and 130,000 students at the university. We live the graces of the liturgy of the Mass in daily life through works of penance and self-denial. One bishop has recommended intercession, reparation and penance for the unborn and victims of crimes against life, in particular the abomination of abortion, by fast and abstinence on the anniversary of Roe vs. Wade, 22 January 2008. By PETER J. SMITH AMARILLO, Texas ( LifeSite­News) — A Catholic bishop has declared his diocese will observe the anniversary of Roe v. Wade, the 1973 decision legalizing abortion in the United States, as a day of penance. The bishop said that day is a particular day of pen­ance for violations to the dignity of the human person committed through acts of abortion, and a day of prayer for the full restoration of the legal guarantee of the right to life. “ I encourage all the people of God to attend Mass that day, pray before the Blessed Sacrament, pray the rosary, and witness to life,” Bishop Yanta wrote. Catholic priests in the diocese will celebrate in violet vestments, a symbol of penance in the Catho­lic Church. The day coincides with the an­nual National March for Life in Washington, D. C., whose 2008 theme is “ Build Unity on the Life Principles Throughout America. No Exception! No Compromise!” Bishop Yanta will also celebrate the annual Diocesan Respect Life Mass for Peace and Justice Janu­ary 19, 9:30 a.m. at St. Mary’s in Amarillo. Afterward, the first leg of the annual Respect Life Ministries’ March for Life will proceed from St. Mary’s to the Planned Parenthood facility at 15th and Taylor to pray for an end to abortion. On January 22, Amarillo Right to Life will hold a commemorative service at the Amarillo Civic Cen­ter to remember the victims of abortion with Fr. John Keane, SA, speaking about the importance of Christian unity in bringing about an end to abortion. In Kuwait today 1LT Cope sought out the chapel as a resting place on his journey to R and R in Qatar. He is from Tennessee and he and his wife have both begun studies in the Rite for Christian Inititation of Adults so that they can bring their young son up in the Faith. Because he was at the chapel, 1LT Cope got the word that the liturgy would be celebrated and joined us for worship. We prayed a "Mass for Life" in solidarity with everyone in the United States today to end all crimes against human life as many "March for Life" in Washington and across the country. "You shall drink from the stream by the wayside and therefore you shall lift up your head." 1LT Cope went away renewed and strengthened by our shared encounter with He who is the "fountain of living waters". He is displaying his gift of a phone card from the children of Saint Philip the Apostle School. "The Lord...sent you on a mission"
Father Jose Bautista-Rojas after Mass with Indians, Sri Lankans, Filippinos and Americans at Camp Al Taqaddum. Marines just arriving in Iraq to begin their deployment express their thanks for the gifts of candy from the people of the Church of St. Philip the Apostle in Camp Springs, MD, and phone cards from the children of St. Philip School. Phone cards from the Sodality of Our Lady at St. Philip Church. More thanks f0r the students of St. Philip the Apostle school. Ooh-rah! The Lord tells us to"do the will of our heavenly Father"; for this He sends and He also calls. He sends us upon each mission and also calls us to new tasks. We are pilgrims on the Earth. Our Faith teaches us that "we have here no lasting city". Also, happily, our Faith makes it possible for us to be at home anywhere in the world. The "communio" of the universal Church guarantees the Lord's consoling presence for us on our way whenever we must say goodbye to one place and obey the Lord's call to set out again upon the journey of obedience. The Lord and our fellow believers in the Church help us as pilgrims in this world to look always for the new things that the Lord holds in store for us. Christ tells us to put our hands to the plow and not look back if we would be members of His Kingdom. My short stay at Al Taqaddum, my last stop in Iraq, was a consolation on my journey of transition as I celebrated holy Mass on Sunday with Fr Jose Bautista-Rojas and spent time with him in fraternal conversation. He spoke in his homily to remind all of us that the good work we do is our reward and the Lord's recognition is the most important any of us can hope to receive. Father celebrated Mass for Sri Lankans, Indians and Filippinos in the evening at the dining facility. Ecce Agnus Dei, "Behold the Lamb of God"
Christ our Divine Shepherd becomes Himself a Lamb: one of the flock. To save the flock He "turns against Himself" upon the Cross as the one perfect Sacrifice which alone can redeem us from our sins. In the new paschal feast of His own Body and Blood, the fruit of His self-giving in death, He feeds the flock of the Church in the Eucharist. "This is My Body, take and eat. This is the cup of My Blood." Photo: Persian silk rug. We can have no life in us unless the Lord Himself be our food. The path ahead promises hope for us because His promise to sustain us with His own divine life will never fail us. All of the baptized are called to feast forever one day in the "Supper of the Lamb" in the heavenly wedding banquet of Divine Love. We begin to experience that promise now by meeting Christ each Sunday in the Eucharistic banquet. Meeting Christ in the Liturgy offers a reflection for the The Second Sunday in Ordinary Time. 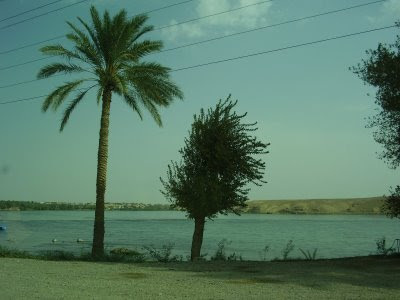 Photo: The shores of the Euphrates River near Juba, Iraq. Upon my arrival in September to RCT-2 it was clear that my mission would continue as long as Catholic coverage was needed. Two weeks ago RCT-5 arrived with two priests. You are, thus, very well provided for so my work here is over. Please make a warm welcome for Fathers Jim Connolly and Steve Vandenboogard. It has been a grace and a powerful walk of faith to serve all of you and to work together to build up the Church, the Body of Christ, in west Anbar. Many of you have worked very hard to collaborate in the service of the people of God so that they might have a regular opportunity to worship together on the Lord's Day. For that I thank you and assure you that God will reward you. May you continue to treasure the gift of the Church whereby, with all of the baptized through the gift of the Holy Spirit, Christ continues to fulfill His promise: "I will be with you always." This happens in particular as you remain faithful to the Catholic Sunday Celebration, or holy Mass, wherever you find yourselves. May your journey in the Faith be a joyful one throughout the rest of your deployment. God never fails us. I thank in particular lay leaders SSG Doane, Captain Meads, Specialist Parks, Captain Bain, Captain Falcone, Bob Bassak, Vincent Heningberg, Captain Graham, Corporal Marsh, Jim Gera, CPT Scheurger, Major Landree and the many others who are not mentioned by name who have served well. And, now, I will say to you what I often say to God's beloved people when the day has been long and the need for rest is great - I quote the Lord - : "I have much to tell you, but you cannot bear it now." Our Holy Father, Benedict XVI, celebrates holy Mass in the Sistine Chapel on the Feast of the Baptism of the Lord on Sunday, 13 January, 2008. Together with the people he faces God: "versus Deum". The Lord's Resurrection is a physical, historical, event which took place in the East. As well, His rising is a cosmic event which continues even now to promise new life to all of creation. Like the rising of the sun each day which conquers the darkness of night the life of the Son of God was triumphant, in His rising, over the darkness of the grave. 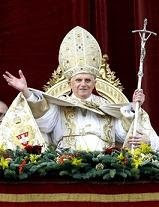 The priest does not possess a power which he is given that he might "lord it over" the people. Rather, he serves by leading all of the baptized forward to meet the Lord, above all, in the sacred liturgy. 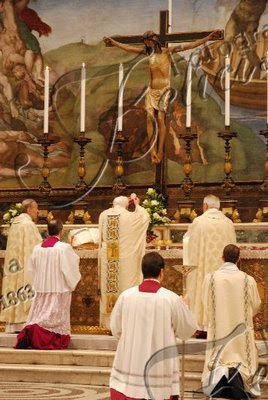 Priest and people always, together in the one Spirit, turn towards the Lord in the Sacrifice of the Mass whether or not the ages-old practice of physically facing east is used. The Lord comes, in the liturgy and finally at the end of the world, and all of mankind will stand before him, facing Him together in adoration, falling down upon their knees. Let us already in faith meet Him thus, in adoration and love. 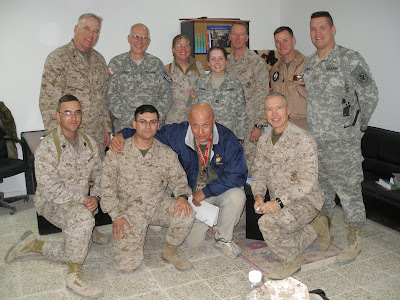 For supporting the mission to the Church in west Anbar thanks go to Chaplain Griffith, far right, and RP1 Zurek, second from right, who arranged transportation by aircraft to the forward operating bases, communication with outlying units and scheduling of visits. RP3 Paz, second from left, deserves special recognition for supporting many of Father Cusick's travels by accompanying him to operating bases and outposts. Admiral Baker, Chaplain of the Marine Corps, center, visited Al Asad on the Fourth Sunday of Advent. This photo was taken after the morning meal at Camp Ripper. The live Christmas tree in the background was a gift from school students in the U.S.
"Priests of the Lord, bless the Lord"
Recently arrived Father Paul Shaughnessy, top row left, will take up the priestly duties of departing Father Miles Barrett, bottom row right, for service to the Church at Al Asad. Also recently arrived are Father Steve Vanden Boogard and Fr. James Connolly who will serve Camp Ripper and travel to outposts to take up the work of Father Cusick, top row third from right. Soon four priests will be available for service at Al Asad and the greater west Anbar region. The RCIA class group pictured here meets every Wednesday evening at mainside chapel. KOENIGSTEIN, Germany, JAN. 15, 2008 (Zenit.org).- The Catholic exodus from Iraq might resume in the wake of recent attacks against Christian holy places, warns the charity organization Aid to the Church in Need. The charity organization made its declaration based on reports it collected from Christians in Iraq after a series of attacks in early January. "The attacks had the goal of terrorizing Christians so they leave the region, and to make those Iraqi Christians who have emigrated and are hoping to return cancel their plans," an organization statement said. Aid to the Church in Need considers that "given the small extent of the material damage caused by the bombs, it is not very likely that the attackers aimed to cause injuries or greater damage." The first attacks were Jan. 6, the feast of the Epiphany for the Catholic Church, and the Orthodox Church's Christmas Eve. The bombs damaged six churches in Baghdad and Mosul. The second attacks were Jan. 9. Archbishop Louis Sako of Kirkuk said he thinks the bombings are a political message, directed at terrorizing the Christian community of the area, which had suffered relatively few acts of violence or intimidation. Marie-Ange Siebrecht, Aid to the Church in Need's Middle East expert, lamented that the press has given little attention to the situation of Christians in Iraq. "It would be a catastrophe to separate the Christians from the rest," she said. "For such a long time, they have coexisted as part of this society." Siebrecht said it is impossible to determine the exact number of Christians who are still in Iraq, but it is thought that more than half of those who used to live there have already left the country. 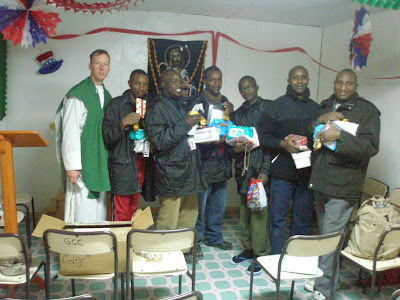 "I Myself will feed My sheep"
Alexander, Robert, Peter, little Joseph, big Joseph and Edward receive gifts from the United States after the celebration of holy Mass at Camp GCC chapel. Big Joseph, second from right, received his first Communion. 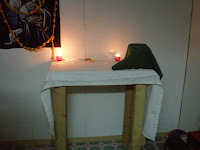 We celebrated the first Mass on the newly donated altar for the chapel, seen in photo. The men from Kenya work in the dining facilities on Al Asad. The Lord Jesus, the sole necessary Savior of the world, shepherds rightly through the one, holy, catholic and apostolic Church throughout the world, bringing into one communion of love people of every nation, language and race. The Shepherd Himself feeds the sheep with His own Body and Blood in the Eucharist. Special thanks to Jim Gera for assisting with the training of the men in the Sunday celebration in the absence of a priest. As they gather in communion with the one Church, the men will continue to draw from the one source of salvation. All grace comes through the Church. "Call upon Me in the day of trouble"
The desire to communincate with those we love is a constant need of the human person. We reach out with whatever means at our disposal so that the human voice is able to speak the sentiments of the heart. 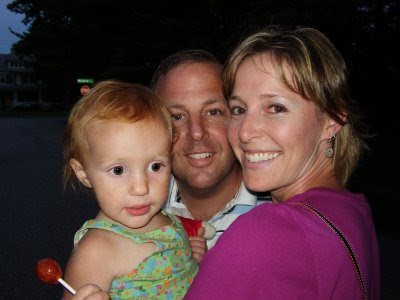 Deployments bring separation within the family and troubling anxieties. Communication by means of the spoken word becomes even more important for strengthening human bonds when physical presence is not possible. Calling upon God in prayer that comes from the heart is always necessary, every day, so that the mind and heart become a sanctuary for the Divine Presence. Through the sending of the Spirit upon the Church and the ministry of the priest the holy of holies now comes down to earth;we enter into the Sanctuary of the Most High each time we participate in holy Mass. God calls upon us and in love delivers us! This post is dedicated to the generosity of the Murray family and CPO Martin V. Kersey, USN (Retired) who gave the gift of phone cards to support our deployed family members. Thank you. "He sets up salvation as walls and bulwarks"
The protective concrete t-walls surrounding Ripper "can city" bring to mind the words of the prophet. From the most insidious enemy, however, one must have the walls and bullwarks that the Lord sets up: our salvation. For this we set out by repentance and walk the path that takes us to worship the true God, the paths of the city leading to the preparation for and the offering of the holy Sacrifice of Christ, our Salvation. In order to be "properly dressed" for the wedding feast of the Lamb in the holy Mass one must first examine one's baptismal garment through examination of conscience. Snowfall in Iraq: "...I will be whiter than snow." wash me, and I will be whiter than snow." in the presence of the godly. "